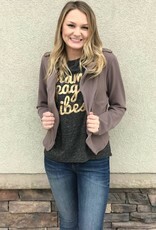 The graphic tee is so fun with a leather jacket or cardigan. 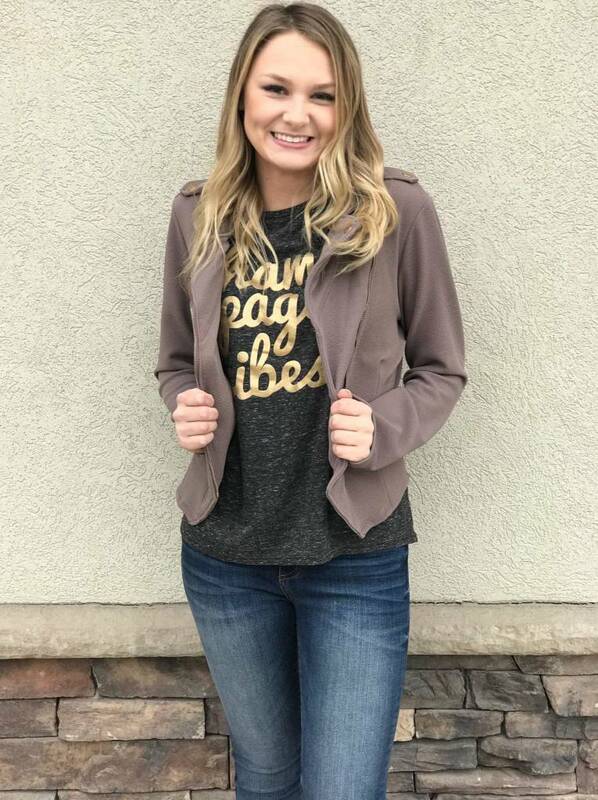 The metallic lettering gives your outfit a pop. This gray shirt has some white speckles in the fabric that gives it some more color.